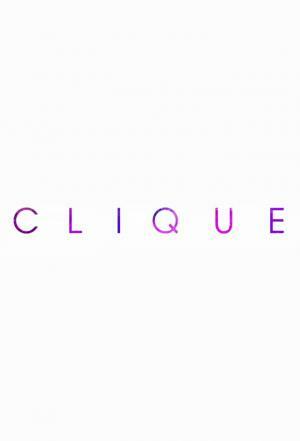 Clique (2017) : Série TV de 1 saisons et 6 épisodes diffusée sur BBC Three. Casting, acteurs, bandes annonces et actualités. Casting de la série "Clique"
S01E01 Episode 1 05/03/2017 Two childhood best friends go to university together and find their closeness tested. S01E02 Episode 2 12/03/2017 After shocking events, Holly finds herself more suspicious than ever that something is wrong at Solasta Finance and at the heart of the clique. Georgia is more distant than ever and everyone seems to be pretending there’s a perfectly reasonable explanation for everything that’s happened. S01E03 Episode 3 19/03/2017 Despite her trepidation, Holly begins to enjoy her new life as a part of the clique. S01E04 Episode 4 26/03/2017 When a shock discovery makes Holly’s concerns a reality, Jude and her girls double down to protect Solasta. With Georgia acting odder than ever, Holly has to break ranks. S01E05 Episode 5 02/04/2017 As Holly’s alliances shift and groups close ranks, she finds herself torn between relationships old and new, and unsure who - if anyone - she can trust. S01E06 Episode 6 09/04/2017 Holly clings to Rachel in the wake of a shocking escalation. But to get to the dark heart of what’s happened and pull Georgia back from the brink, there’s one final twist to come. Envie de parler de Clique ? Les discussions sont là pour vous. Retrouvez toutes les informations sur Clique lancée en 2017 : synopsys, casting complet, acteurs, scénariste, réalisateur. Découvrez des séries similaires à regarder également. Faites vous une idée de la série grâce à la note des membres et aux critiques des internautes.